The Inverter Remote Control station Pendants feature 'industrial grade' 22.5mm pushbuttons and controls, and enable you to bypass the keypad buttons built-in to the Inverter drive. These remote control station pendants are suitable for use with our range of IMO JAGUAR CUB / VXSM inverters, and can be machine mounted. 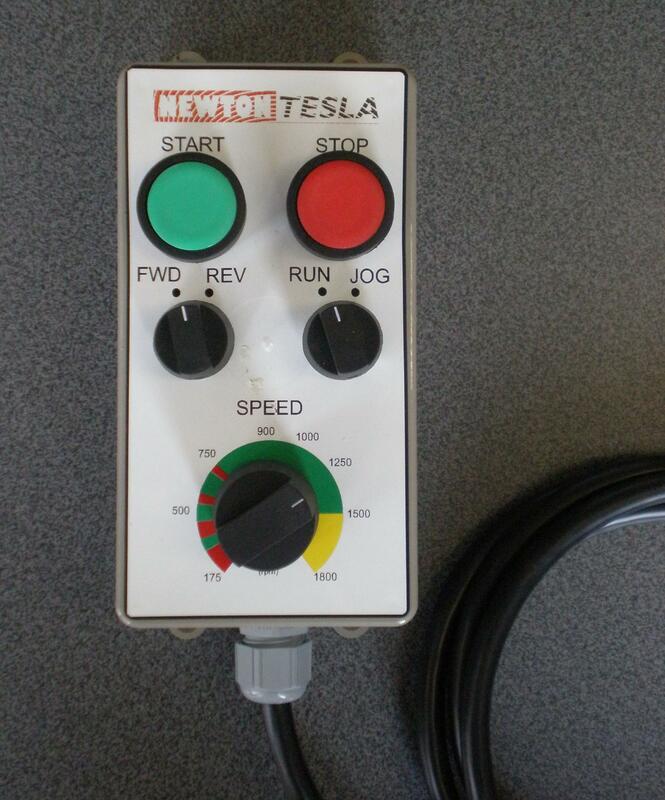 Start Pushbutton – Behaves like a No-Volt-Release function. Stop Pushbutton – Using the 3-wire (self holding) control function of the inverter drive. Run / Jog switch – To select between normal ramp up to speed running mode or 'Inch' facility which uses a preset speed of the inverter drive. Variable Speed Potentiometer – To infinately vary the speed of the motor. Compatibility: IMO Controls JAGUAR CUB / VXR / VXSM (LATER TYPE). NOT COMPATIBLE WITH IMO iDRIVE OR EARLY CUB CD MODELS. SKU: Remote 2. Category: Inverter & Motor Packages. Tags: Control, CUB, IMO, Jaguar, Remote, station, VXR. The Inverter Remote Control station Pendants feature ‘industrial grade’ 22.5mm pushbuttons and controls, and enable you to bypass the keypad buttons built-in to the Inverter drive. These remote control station pendants are suitable for use with our range of IMO JAGUAR CUB / VXSM inverters, and can be machine mounted. Run / Jog switch – To select between normal ramp up to speed running mode or ‘Inch’ facility which uses a preset speed of the inverter drive. 3.0hp Inverter & Motor package with Remote. 3/4hp Inverter & Motor package with Remote.